„Now“, the first studio album for Shania in nearly 15 years, releases on September 29th. The new album offered as both a 16-track deluxe and a 12-track standard album, both feature Shania s current single, Life s About To Get Good, playing on country radio now. 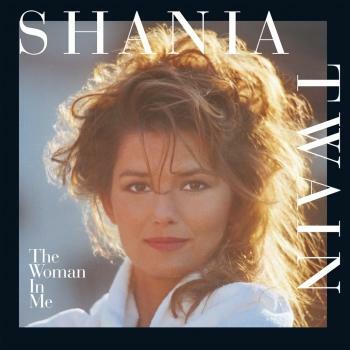 All songs on NOW were written solely by Shania, who also served as co-producer on the project. Shania worked with four producers across the 16 tracks including Matthew Koma, Ron Aniello (Bruce Springsteen, Gavin DeGraw), Jake Gosling (Ed Sheeran, Shawn Mendes) and Jacquire King (Kings of Leon, Norah Jones). Shania is a five-time GRAMMY Award-winner and the reigning Queen of Country Pop. With more than 75 million albums sold worldwide and U.S. sales topping 34.5 million, Shania remains the top-selling female country artist of all time. Shania s albums include her Platinum-selling 1993 debut, SHANIA TWAIN; the GRAMMY Award-winning, Double Diamond-selling 1995 release, THE WOMAN IN ME; COME ON OVER, the best-selling studio album in Soundscan history by a female artist in any genre and the best-selling country album of all time with over 40 million units sold worldwide; and UP!, Shania s third consecutive Diamond-selling album release. Recognizing her indelible impact and achievements in music, Shania is the first and only female artist to receive CMT s Artist of a Lifetime Award and the Country Music Hall of Fame recently opened the Shania Twain: Rock This Country exhibit. Shania was also honored with the Icon Award at Billboard s Women in Music ceremony. Shania s hits include Any Man of Mine, That Don t Impress Me Much, You re Still the One, and Man! I Feel Like A Woman! .